To help remote employees and young startups staffed with only one or two people locally, many companies have turned to coworking spaces. They help fill the void of not having a lively office and often provide basic amenities like coffee or snacks that some startups can't quite afford just yet. But meeting people can still be a bit tricky, given that you're typically there by yourself, heads down, and working. We reached out to four local coworking spaces to learn what they do to make it easier for people to meet new folks and make office friends. Jessica Cox is Galvanize’s member and student success manager. What are the best ways to meet people at a coworking space? Be proactive about introducing yourself to new faces and asking what they're working on. Hang out by the coffee, in the kitchen or open community areas, ready to connect with passersby. Take a genuine interest in the person's business and offer any advice or introductions that may be relevant. Ask your community manager for introductions to others in your industry. They are your secret weapon in getting plugged in. What does Galvanize offer specifically to help foster new relationships? Every Monday we host New Member Orientation (NMO) for new Galvanizers. At NMO we highlight our four community values: "Be Integrated," "Be Driven," "Be Curious" and "Be Inclusive." This sets the tone for getting connected in the community and meeting other Galvanizers right from the start. After NMO I show the new members to a coworking table and introduce them to someone in a similar industry or with a similar background. We take an active approach in facilitating connections for our members so they instantly feel like a part of the Galvanize family. What advice do you have for people who are trying to find "the best" coworking space for them? Identify what you're looking for in a coworking space: quieter space for maximum productivity, super social atmosphere etc. Each coworking space has a unique personality and atmosphere. Tour your top choices and ask about a free trial day. Use the trial day to sit at different tables, introduce yourself to others in the coworking areas and attend an event. This should give you a good feel for which space is the best fit for your work style and business needs. What do you suggest folks do to meet people at their coworking space? Definitely attend the events that the coworking spaces plan. To make it really valuable, have a one-liner and/or succinct explanation of what your company does and what you’re looking for, since in this setting, people want to know how they can easily help. What does Switch Cowork offer specifically to help foster new relationships? A few times a week, Switch hosts digital and traditional networking groups to cowork with us for a day. These groups are usually focused in areas of startup, freelance/remote worker, social good and other similar areas. The events have ended up being great times to work and network with other people in the same (or intentionally different!) industries. We list them on our calendar. What advice do you have for people when they are trying to find "the best" coworking space for them? My best advice is to really think about your needs. There is a coworking space for everyone now, so you’re bound to find something you're happy with in terms of price, location, focus, environment and more. If you travel a lot, you can get a membership to a coworking space that’s in tons of cities. If you’re big on coffee, there are plenty of great options in Austin that do it well. If it’s not about fancy offices or coffee, you might want to check out Switch. Monica Armstrong is atx FACTORY’s marketing and events manager. What are some of your suggestions for people to meet others at a coworking space? In this day of coworking spaces, it’s not just the case that a person is going to work; they’re also part of a social movement. Most coworking spaces consist of members who work for a range of different companies, ventures and projects. Because there is little direct competition and minimal internal politics, members don’t feel as intimidated to meet and mingle with other members. While sometimes it’s understandable that members need to be in their zone or listen to their own music, removing headphones every once in awhile can break down an invisible wall and invite more conversation. 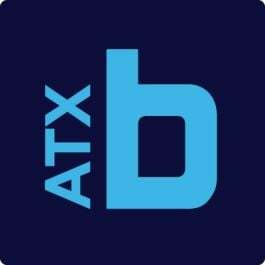 What does atx Factory offer specifically to help foster new relationships? At atx FACTORY, socializing is not compulsory or forced. However, we believe in curating a space where members can choose when and how to interact with others. We aspire to demonstrate community, collaboration, learning and sustainability within our uniquely designed space. This includes providing members with perks such as wellness classes, networking events, weekly food trucks and other social events such as member happy hours. Additionally, we believe members are more likely to foster new relationships and enjoy discussions over a coffee/beer in our bespoke bar space, playing bocce ball while waiting for their food truck order and even while having a quick 20 minute break in our massage chairs. What are the best ways to meet people who work at the same coworking space? One of my favorite things about being a community manager is getting to watch friendships and working relationships unfold. We recently had a member move their headquarters from the UK to Austin, and they partnered with another member here, a recruiting company, to hire their whole local sales team! One of the best ways to meet people is to spend some time during the day working from our common areas or cafe. Introduce yourself to other people or ask me who I think you’d get along with. I’m always happy to introduce members to each other. What does Industrious offer specifically to help foster new relationships? Our members are established, small companies and teams from big, national companies, but I love seeing them come together for happy hours that we host or special events throughout the week. Last week, we had a local brewery come to Industrious for a tasting with our members. Rumor has it, our members are now planning an outing this weekend to the brewery! Go visit in person; take a tour, talk to members already working there. Choosing the space you’re going to spend every day in means finding a place that not only meets your basic checklist but a place where you feel proud and excited to work. Does it make you feel happy? Does it represent the business you’re building? Here at Industrious, people come for the grown up but relaxed environment and our focus on hospitality with everything from breakfast every day to personalized private offices, but they stay for the vibe, the people and the way it makes them feel. Images via featured coworking spaces and Shutterstock. Responses have been edited for length and clarity. Have a news tip for us or know of a company that deserves coverage? Tell us or tweet @BuiltInAustin.